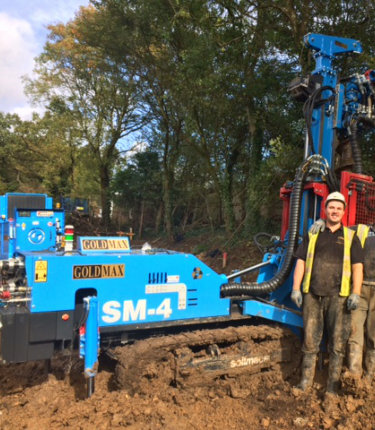 Soilmec Ltd provides a comprehensive line of Mini Piling Equipment to the construction industry, manufactured in our factory in Cesena, Italy. 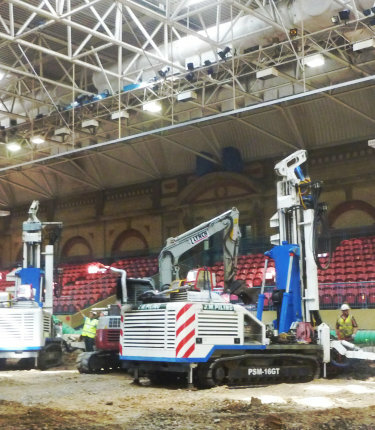 These compact, powerful and technically advanced machines have a innovative design to allow work to be completed effectively, in safe conditions and with high productivity on job sites where available space is an issue. 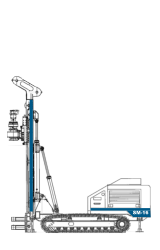 Sectional Flight Auger (SFA) technology is used in low head room or very restricted job sites, where a CFA rig cannot reach. The piles are formed with the use of sectional lengths of hollow stem continuous flight auger. 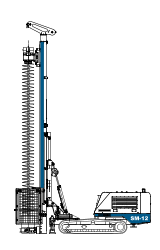 Technical details & download brochures can be found below for the Soilmec Mini Piling Equipment range. Each SFA pile section, commencing with a toothed lead auger, is added to the rig as the augers are bored into the ground. When the required depth is reached, grout is mixed and pumped through the rotary and down the hollow stem of the augers as they are extracted and removed. The grout is cast to the platform level before a reinforcement cage is inserted. 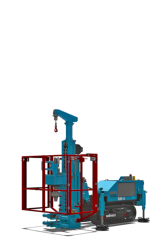 At no time is an open bore formed, thus piles can be made in wet unstable ground conditions. Sectional Flight Auger Piles are also used, in certain soil conditions, for open bore piles. The augers are extracted fully before the grout is cast in the open bore, then a reinforcement cage is inserted to complete. 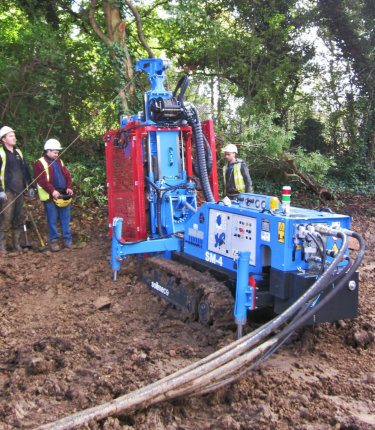 The Mini Piling range of crawler mounted hydraulic drilling rigs are designed for the execution of sectional flight auger drilling applications. 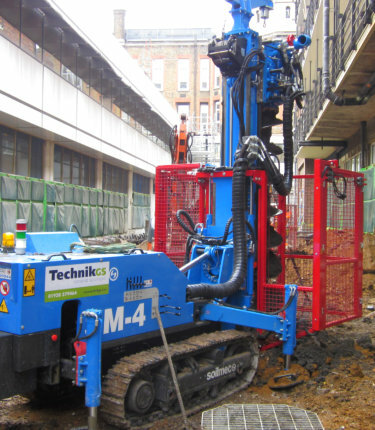 The rigs are specially designed to meet the demands of jobsites with restricted access, confined spaces and low head room constraints. 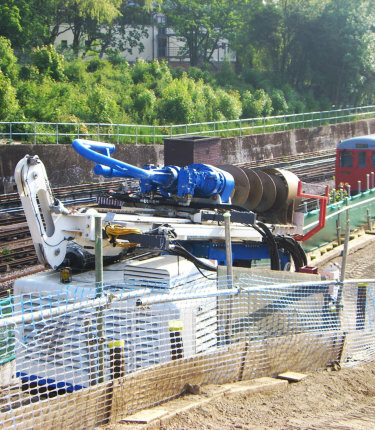 This enables the Soilmec mini piling machines to operate where a standard CFA rig cannot reach.